Panama, a country of just four million inhabitants, is the link between North and South America. Its famous canal very much put Panama on the map. The Panama City Greater Metropolitan Region, which sits on the Pacific Ocean, has 40% of the country’s population, while on the other coast, the Caribbean bathes the shoreline. There are thousands of offshore islands and many spectacular beaches which have helped the growth of Panama’s tourist industry. With such a huge array of choices, you will find amazing beaches everywhere you go in this spectacular country; however, many of our top picks face the Pacific. 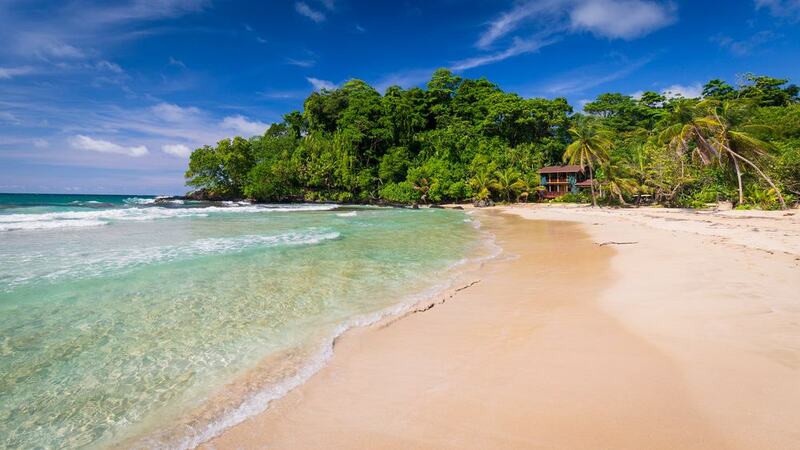 Here is a list of the 15 Best Beaches in Panama. Isla Contadora is the favorite beach escape for those wanting a break from Panama City. It is one of the Pearl Islands – a Pacific Coast archipelago. 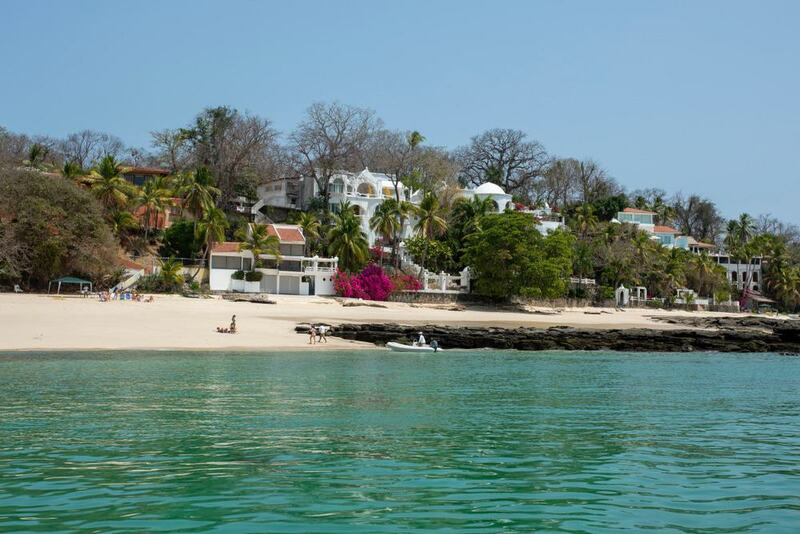 Contadora combines nature with sophistication; white sand beaches and pelicans with exclusive villas. It covers less than 1.5 square kilometers, with Galeon Beach at one end and Camaron Beach at the other. You can fly the 80 kilometers from Panama City; those who do, either own one of those villas or book into one of the island’s luxury hotels. Isla del Rey is the largest of the Pearl Islands, covering 234 square kilometers. It has a population a little over 1,500, living in four small towns, with the largest and most populated being San Miguel. You can take a 20-minute flight from Panama City or a four-hour boat trip. Your reward is a tranquil break on a beautiful white sand beach with warm seas. One of the top activities is snorkeling – some of the best in the whole of Panama. Fishing is fun and seafood a good choice in the basic restaurants on the island. When it comes to good swimming in Panama, these beaches on the Pacific Coast are great choices. You can reach them by road in under two hours from Panama City. The blue sea and white sand greet you as you arrive, to justify your decision to travel a little further out of the city. There aren’t many people living here, but you will find simple accommodation – including the chance to camp – and restaurants. Locals head here at weekends; you may find yourself in the middle of a party or watching a football match. 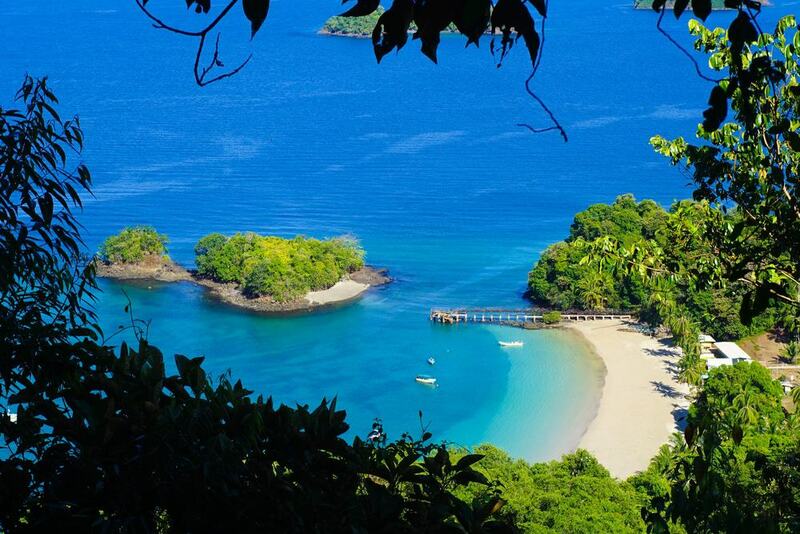 Isla Coiba – the largest island in Central America – is a UNESCO World Heritage Site. Panama boasts a limited number of natural treasures but this is surely one of the most impressive. The National Park on the Pacific has some wonderful marine life which snorkelers and scuba divers will enjoy. You can join an organized tour if you wish. Isla Coiba was once a penal colony but is now home to white-faced monkeys. In the water, you may see hammerhead sharks, whales, and manta rays. 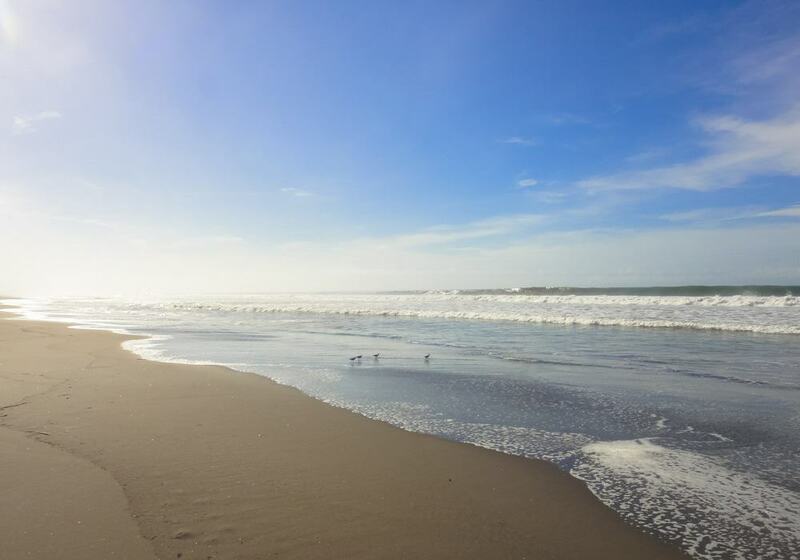 You are sure to find tranquility on these small, stunning stretches of beach. Santa Catalina used to be nothing more than a small fishing village but things are changing. Surfers have discovered the wonderful waves, while those looking to simply relax on an out of the way beach would do worse than this spot. Fishing is a popular activity and seafood the first thing to seek out on a menu. The diving is superb; many think they have found paradise. There is basic accommodation but the nearest ATM and grocery store is around an hour away – come prepared. 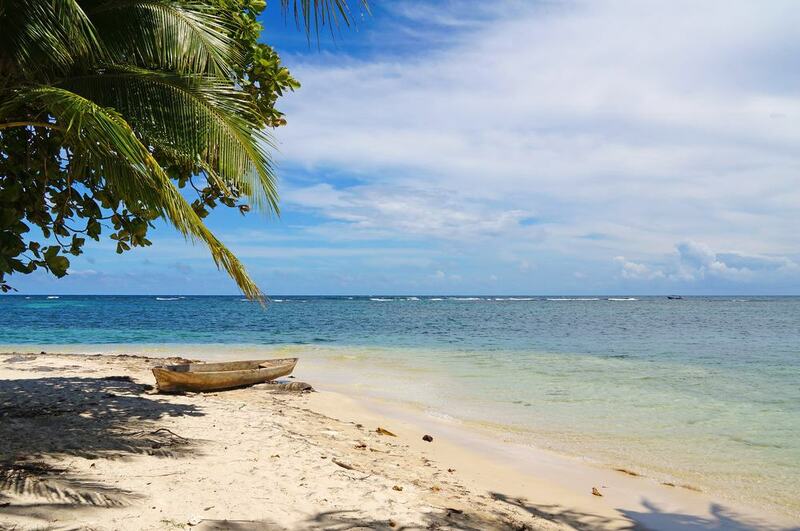 Boca Chica is a remote place offering lovely tropical seas, white beaches, and swaying palms. It is another paradise for snorkelers, divers, and fishermen. The lush green vegetation offers a sharp contrast with the shore and sea. The outside world has discovered Boca Chica and there is an increasing amount of real estate springing up, so it will change. For now, head to Boca Chica and enjoy yourself. The kids will love it; the beach is full of shells and it is fun to chase the hermit crabs. The water is perfectly safe and everyone will love seeing the monkeys in the trees. 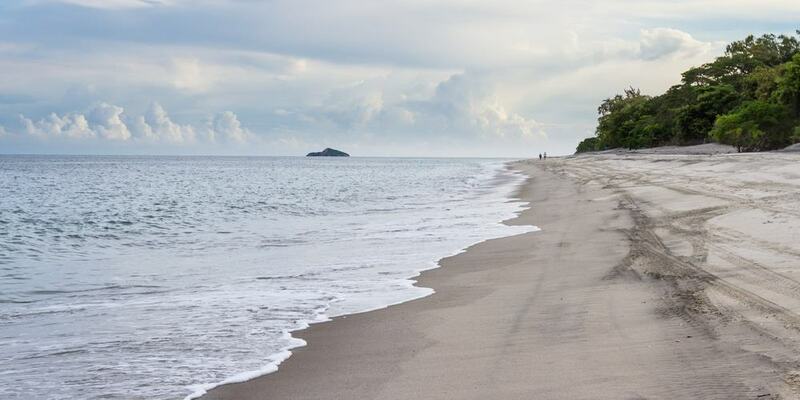 This little-known beach in Panama on the Pacific Coast stretches for over 12 kilometers. The waves have begun to attract body surfers, while others just prefer to stroll along the sand. The palm trees sway in the gentle breezes and if you get too hot, you can just jump into the sea. There are some huts for rent and palm shades on the beach. Better quality accommodation is readily available as well. Las Lajas has some restaurants, where seafood takes pride of place on the menu. The beauty of La Barqueta is its length, giving plenty of space to wander and explore. The sand is dark and gets hot quickly, so if you want to take a walk, have sandals with you. Strong currents mean that swimming is not advisable. The nearby nature reserve adds an extra element for those wanting a break from the hot sun and sand. Playa La Barqueta is quiet during the week but can get busy at weekends. There is a small café in the shade to enjoy a beer. Often, later in the day, the waves gather strength and make quite an impressive sight. There is looming development and a beach resort close by – so plan to visit this beach before it becomes overdeveloped. Burica is on a small peninsula in Panama. Although there is some basic accommodation, Burica remains largely undeveloped. 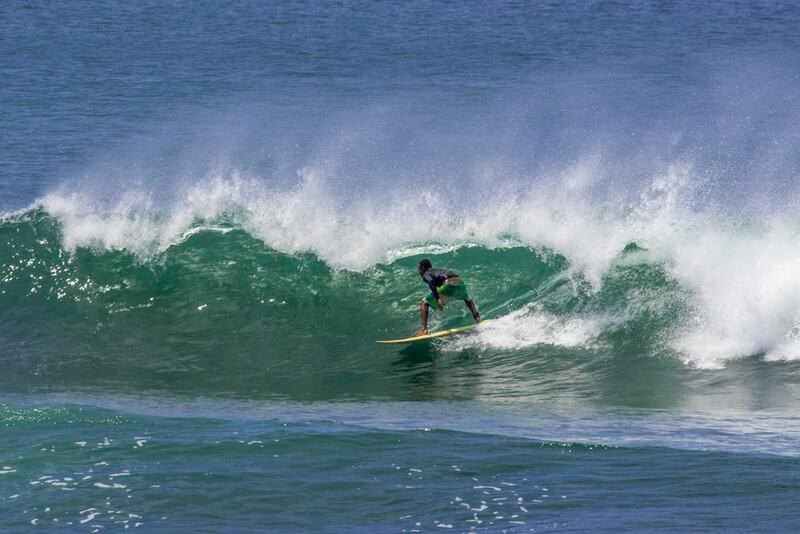 You will find quiet beaches, palm trees, and deliciously warm waters, sometimes suitable for surfing. The sand is grey but that has minimal effect on the lovely setting. Because of the remoteness of Burica, there are rarely many people around, which suits those looking for somewhere off the beaten path. 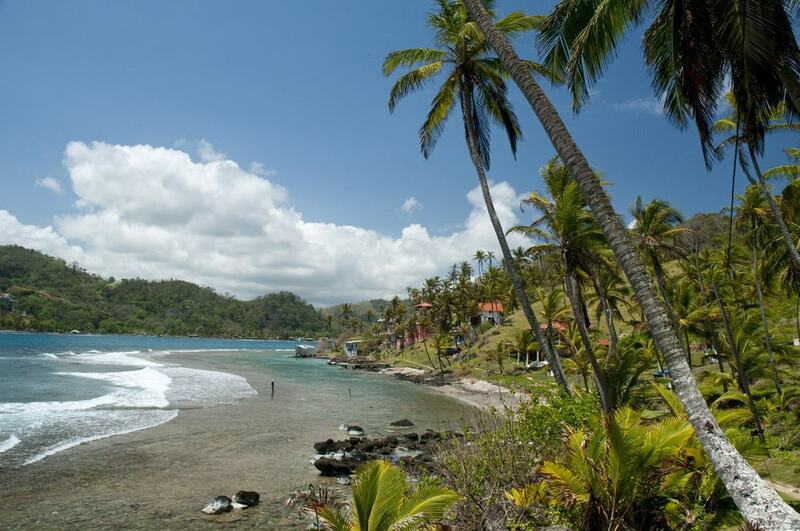 Development seems certain over the next few years as Panama’s tourism industry grows. 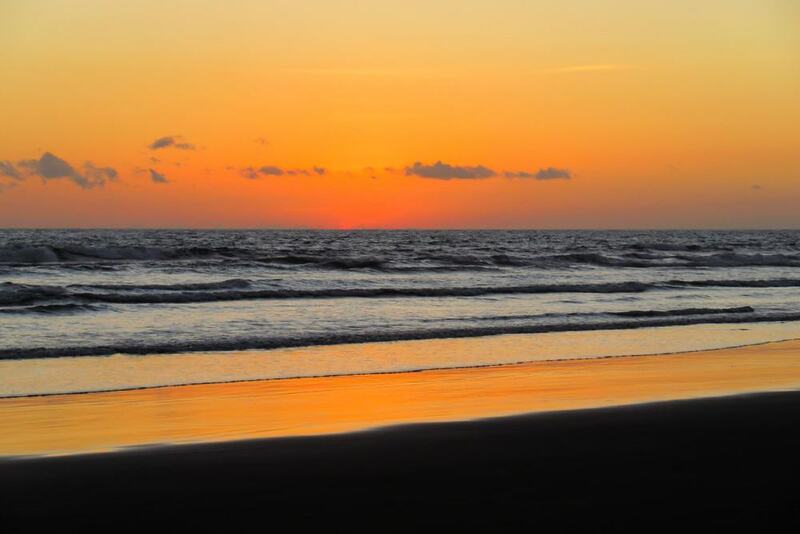 The Azuero Peninsula is full of beaches and these two are just a short distance apart, making it easy to visit them both. 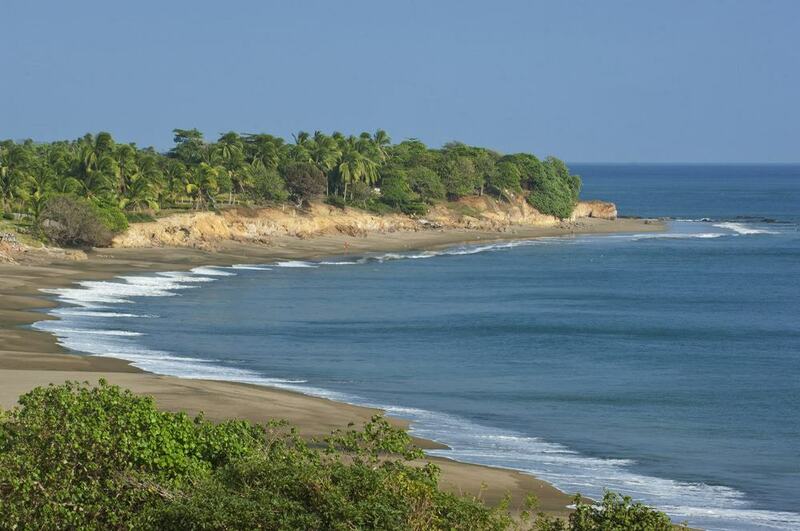 If you surf, you will enjoy both bays, although the sheltered cove at Playa Venao is better for swimming. It is an increasingly popular small resort, with accommodation available and an increasingly vibrant nightlife gearing up after a great sunset. The peninsula is developing, with much to see and do. The region has a rich history, so you can combine time on the beach with exploring the local history and culture. This beach takes its name from the little red frogs that scramble along the shores of Isla Bastimento in Bocas del Toro. This is a naturally beautiful setting, with lush vegetation just behind the sands. Hiking is a favorite pastime inland. Sloths and monkeys live in the trees, while the marine life offshore is colorful and impressive. There are caves to explore and you can take to the ocean in a kayak. There is usually a breeze and the waves in the clear blue waters make it a great spot for surfing. ‘’Starfish Beach’’ is a bay where you will see colorful starfish in the clear blue waters. The palm trees provide a further contrast in color and give much-needed shade as well. This is the Caribbean Coast and a perfect place for a family holiday. The water is calm and there is only a gentle slope into the waters. You can rent kayaks, floating chairs, and water bikes by the hour to get you to the mangroves. There are a couple of small restaurants close by. 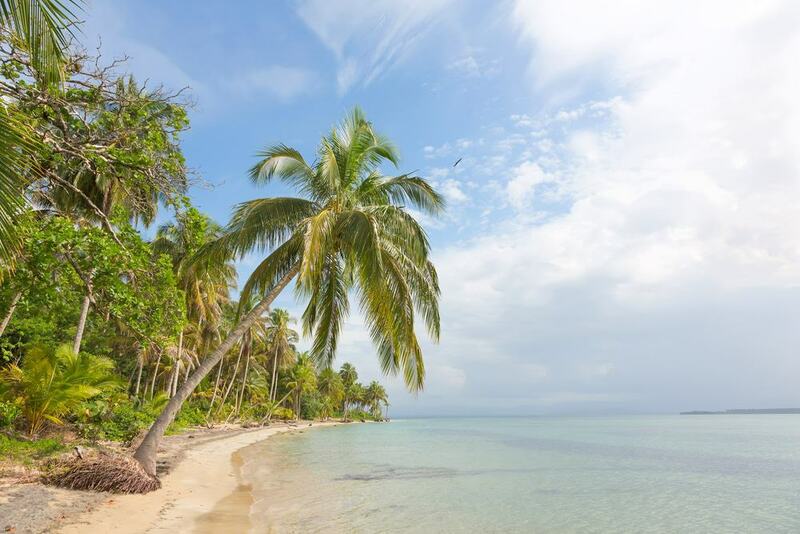 The beach is accessible and hence popular – especially at weekends – but not as crowded as some other Panama beaches. The Bocas del Toro Archipelago includes the mangrove islands of Cayos Zapatillas. These uninhabited islands are an important nesting site for endangered sea turtles, as well as offering great coral reefs for divers. As well as colorful fish, you may see nurse sharks and moray eels. The beach is lovely and you can just relax and take in the sun’s rays. The name means ‘’Slipper Islands’’ – a name given to them by local legend due to their feet-like shape. 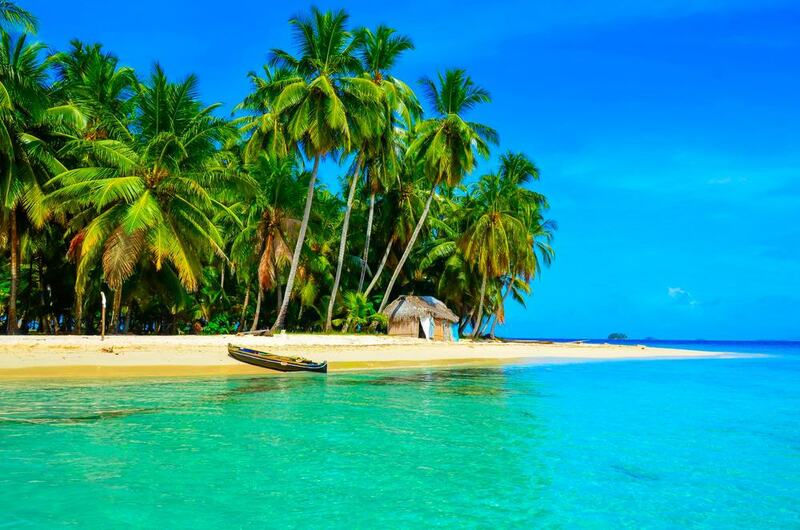 The beaches of San Blas in the Caribbean have often been described as among the best in the world. Development has been limited because the archipelago is controlled by the native Gunas. This means that mass tourism is unlikely – it is like being on a desert island. Any accommodation is eco-friendly and there is total commitment in maintaining the wonderful natural environment. The sands are lovely and white and it is difficult to leave once you have seen them. Isla Grande is just a short boat ride of 15 kilometers into the Caribbean from Portobelo, so it has become a popular weekend destination for people living in Panama City. The local population is around 1,000 and villagers live in wooden houses on stilts and spend their time fishing. Try it yourself, but certainly try the fish caught by professionals in the small restaurants. Whether you just want to relax, swim or surf you will love the lovely sands of Playa de la Punta that sit in front of the lush vegetation.